Fast bowling is hard work. Experts estimate that when a fast bowler delivers a ball, up to 9 times his body weight goes through his front foot. Fast bowling places such a strain on the body that it is no surprise that a majority of injuries that afflict cricketers happen to fast bowlers. Therefore, it is no surprise that fast bowling is considered a young man’s job. While spinners and batsmen tend to mature with age and find ways to be as effective as they were in their pomp, pace bowlers, no matter how canny and experienced, always tend to struggle when Father Time catches up with them. Courtney Walsh and Glenn McGrath played till 38 and 37 years of age respectively. James Anderson is still going strong at 35. But most fast bowlers are usually past their best when they cross 30. Experts always advocate letting batsmen play a season or two in First Class cricket before blooding them in international cricket. When it comes to pace bowlers, it is considered prudent to blood them internationally when they are young and possess the pace to rattle batsmen. Some bowlers gain a yard or two in pace when they play a couple of years in international cricket, but almost all bowlers lose pace when they enter their 30s. The truly great ones compensate for this loss in pace by getting extra movement, exercising greater control and developing variations to fox batsmen. 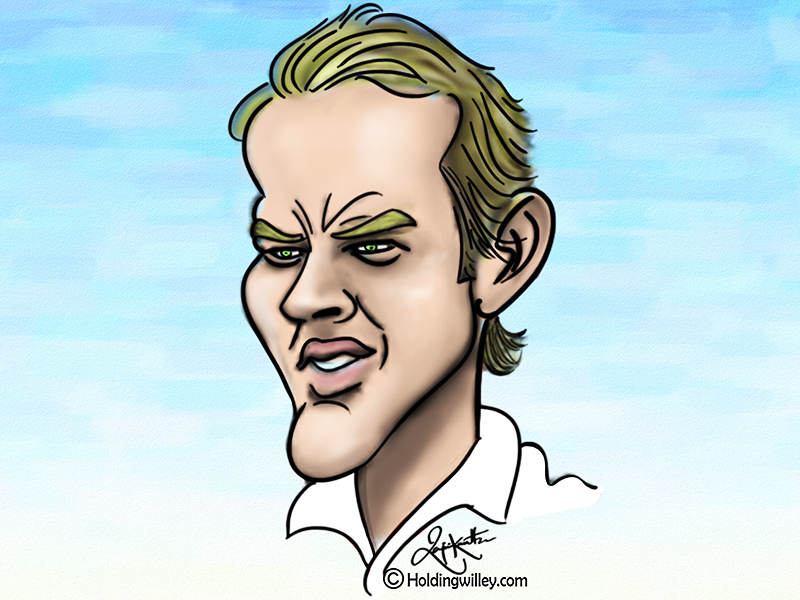 Stuart Broad is 31 years of age (going on 32) and has taken 399 Test wickets. He is 10th on the list of most wickets taken by pace bowlers in Tests. Prior to the 1st Test between New Zealand and England, there were reports that Broad might not be given the new ball; that he might bowl first change. This is usually a natural progression among fast bowlers, as younger bowlers with greater pace are given the new red cherry. However, are the great pace bowlers as effective when they come on first change, as opposed to bowling with the new ball? Bowlers who open with the new ball are said to bowl in bowling positions 1 and 2. For the purpose of statistical analysis in this article, we look at the career stats of 15 of the most prolific pace bowlers in history and try to determine whether Broad should continue to take the new ball or bowl at first and second change. The table below gives the career bowling figures of the 15 most prolific pace bowlers in their entire career and while taking the new ball. 10 of the 15 have taken more than 90% of their wickets with the new ball. The exceptions are Courtney Walsh, Shaun Pollock, Stuart Broad, Malcolm Marshall and Ian Botham. Most of these 15 bowlers are frontline bowlers who always took the new ball. In the cases of Marshall, Walsh and Pollock, they were part of an extremely strong bowling line-up early in their career, and therefore they had to work gradually before earning the right to take the new ball. Botham was never a new ball bowler and used to come in as first and second change, which explains why his percentage of wickets with the new ball is lower. Interestingly, Broad has taken 81 wickets even when not entrusted with the new ball, which shows that he can still take wickets coming in at first or second change. Now let us look at the wickets taken by these 15 bowlers after the age of 31 with the new ball. The table below gives their career stats. 12 out of the 15 bowlers have taken more than 90% of the wickets they have taken after the age of 31 with the new ball. In the case of Botham and Marshall, the sample size is too small to draw any conclusion. The percentage of 57.92 in Pollock’s case can be attributed to having bowlers like Allan Donald, Dale Steyn and Makhaya Ntini in his team. The conclusion can be drawn that bowlers in the twilight of their career need the advantage of bowling with the new ball more than ever. Lastly, the top 18 most prolific bowlers who bowled in positions 3 and above after the age of 31 are all spinners, which reinforces the notion that spinners age better than pacers and benefit from bowling with a slightly older ball. The most prolific pace bowler who fits the above category is Jacques Kallis, who has 92 wickets at a bowling average of 34.7. Kallis was a batting all-rounder who played in a very strong South African side which had a number of great bowlers. It is surprising to note that not a single pace bowler has taken even 100 wickets after the age of 31 in bowling positions other than 1 and 2, even though 4 pace bowlers have taken more than 200 Test wickets after the age of 31. This shows that pace bowlers have a short shelf life. Most of the ones who are used to taking the new ball throughout their career find it difficult to make the adjustment when asked to bowl at first or second change. Broad has taken 81 wickets when not bowling with the new ball and therefore might be effective even when coming on first change or second change. However, it will be asking too much to expect him to be as prolific a wicket-taker as he was in the past if he is asked to give up the advantage of bowling with the new ball.